I can’t stop thinking and praying for Trooper Edenhofer’s family and friends. My broken heart hurts for the pain they are experiencing and the struggles yet to come. I know they are waking up each morning hoping it was all just an extremely bad nightmare……. and then letting the tears flow as they realize it wasn’t. Their world has shattered….. I have these feelings every time I hear of another officer being killed. Every time. Too many people don’t understand that each death of a Law Enforcement Officer is a tragedy for all of us. These are the good guys and they are getting gunned down in the streets. These are the courageous people who are standing in a thin blue line between all of us and evil. They are standing between you and the bad guys in your neighborhood, in your city. They put themselves in harm’s way each day for us. When good guys lose, we all lose. And we have all lost another hero. A man who was dedicated to making a positive difference in our community. A man willing to stand up against what is wrong and help make it right. Those of us left behind will remember and honor Trooper Edenhofer for his bravery and sacrifice. Facebook is full of posts letting us know how each of us can personally show our support for him and his family, for the officers who were injured in the same confrontation and for the Law Enforcement Officers who are still working hard each day to fight evil on our behalf. Let’s all pick a way to show our appreciation and do it. We need our Thin Blue Line. Your words are so powerful. 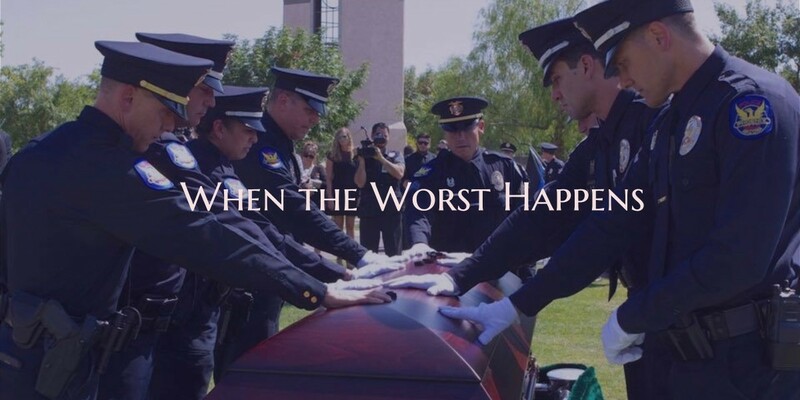 The Blue Family always morn a loss of our brothers or sisters. We are family and it hurts EVERY TIME. Your pain, as a parent, is unimaginable, but you help others try to understand. Love you and love your support of the Blue Family. I Love You Judy. I stopped by Tyler’s memorial yesterday to put two blue/black ribbons next to each flag and I couldn’t help but to also remember Davey, or all my brothers and sisters from the WTC on 9/11 .